Ideal for a pre-existing masonry fireplace opening the Napoleon Woodland 2-inch7 Electric Log Set is perfect to create the coziness of a real fire. No expensive installation, or mess from wood burning fires, these hand painted Electric Log Set is just plug and play for an instant update to your room. Napoleon Woodland27 Electric Log Set perfectly recreates the glow of embers in a real fire with low energy LED lights. Be master of your space with the included remote to control flame height, intensity, heating, and even the ember bed lighting. Transform an old masonry opening into a beautiful and cozy fireplace with the Woodland Series by Napoleon. The glow from a Napoleon Cinema Glass 27 Built-In Electric Fireplace will transform any room by adding a sparkling and luxurious touch. No venting or chimneys are needed to fill your space with the warmth and glow of a Napoleon Fireplace. Our Anya or Crawford Mantel packages provide the perfect place for your entertainment center, allowing you to just plug in and enjoy the Cinema Glass 27. Or add a uniquely modern touch by installing this electric fireplace directly into a wall. The topaz glass ember bed scintillates, setting the perfect mood, when lit by the flickering flames, or the unique, multi-coloured NIGHT LIGHT. Perfect your space with a Cinema Glass 27 Built-In Electric Fireplace. Make your living space inviting with the warm glow from the Napoleon Cinema Log 27-inch Electric Fireplace. This fireplace doesn't need venting and will still fill your room with 5,000 BTUs of warmth. For a modern feel, inset your Electric Fireplace into the wall. The realistic log bed glows just like real burning logs, and when you turn the fireplace off, fade just like a dying fire. Adjustable flame brightness and heat intensity let you control the mood. Perfect your space with a Cinema 27 Built In Electric Fireplace. Perfect for a built-in installation or can also be ordered with the Essential mantel package option for a functional and beautiful piece of decor. 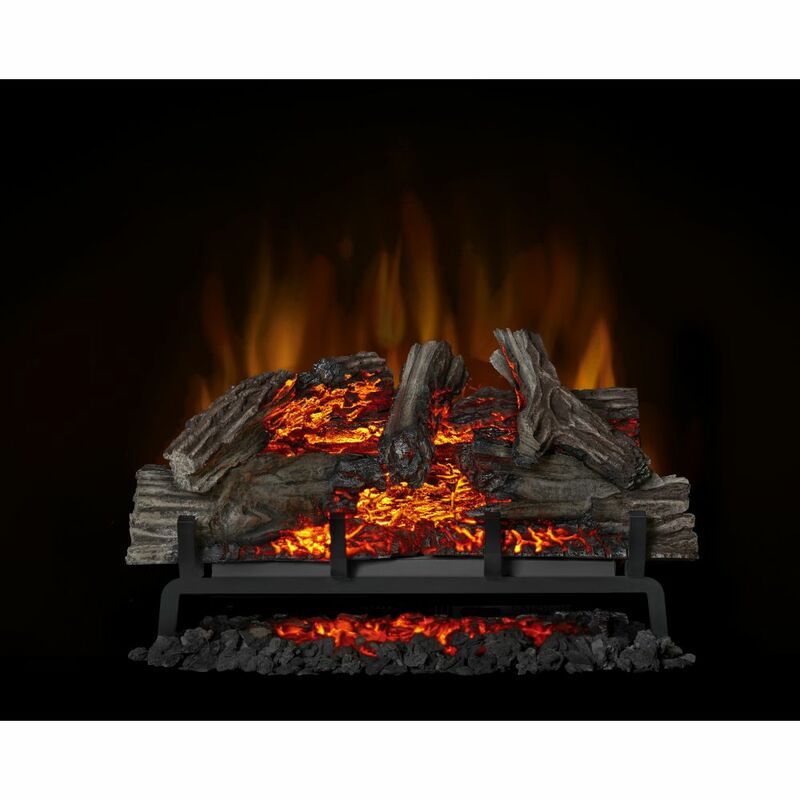 Woodland 27-inch Electric Log Fireplace Insert Ideal for a pre-existing masonry fireplace opening the Napoleon Woodland 2-inch7 Electric Log Set is perfect to create the coziness of a real fire. No expensive installation, or mess from wood burning fires, these hand painted Electric Log Set is just plug and play for an instant update to your room. Napoleon Woodland27 Electric Log Set perfectly recreates the glow of embers in a real fire with low energy LED lights. Be master of your space with the included remote to control flame height, intensity, heating, and even the ember bed lighting. Transform an old masonry opening into a beautiful and cozy fireplace with the Woodland Series by Napoleon. Woodland 27-inch Electric Log Fireplace Insert is rated 2.0 out of 5 by 1. Rated 2 out of 5 by Toni from Expected a more realistic look. Remote not efficient. Expected a more realistic look. Remote not efficient.